Lift Amount Stock 1-2.5" 2-3.5" 4-5.5" 6-7.5" 8-9.5" 10-11.5" 12-13.5" 14-15.5"
2008-10 Ford F-250/350's come with a short limited motion sway bar link stock. These are marginal at best even on a factory application. Add to that additional lift, more travel, or harsh operating conditions and the OEM links are prone to bushing failure. 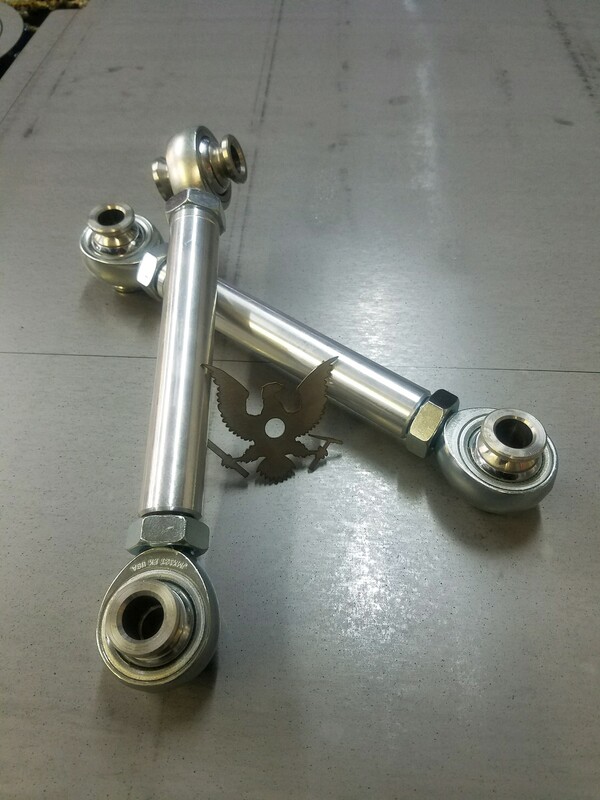 Our HD 6061 billet end links convert to a stronger 3/4" FK heim joint which allows more misalignment and bind free travel. We offer these in a variety of lengths to allow proper geometry at any lift amount. To calculate proper length, take the overall lift height of the truck and subtract the height of any drop brackets that are being used (if there are any). If you are between 2 sizes, its usually best to choose the shorter size. These are for the front axle. The OEM mounting bolts will be reused.